A couple who were surprised with £2,000 to pay for their IVF treatment had their second daughter on Saturday. 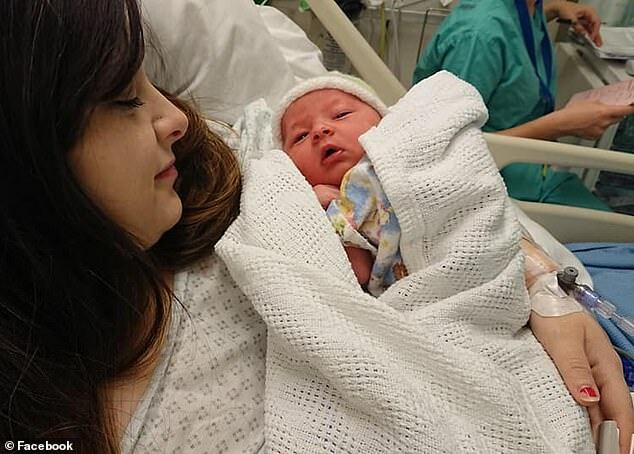 Marisha Chaplin, 26, gave birth to Isla after a group of Facebook mums secretly raised the money to fund the former cancer patient’s IVF. 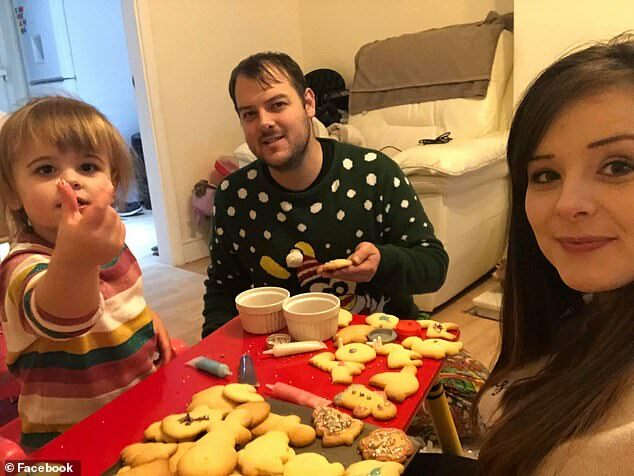 She and her fiance, Jon Hibbs, 29, have been together more than 10 years and already have one daughter but couldn’t afford a second round of the treatment. But members of a Facebook group for women who gave birth in May 2016, which Ms Chaplin joined after the birth of her first child, Evie, raised the money for them. Ms Chaplin said having their second child was ‘better than we ever imagined’ and thanked the group of generous mothers who have never even met her. Ms Chaplin and Mr Hibbs, from Cotgrave in Nottinghamshire, met in a cancer treatment centre in 2007. She was having treatment at the time while he had returned for a routine check-up. ‘I saw him and said to our Clic Sargent worker “I fancy him” basically, and she said she could give him my MSN address,’ Ms Chaplin told the BBC. After the pair got together, Ms Chaplin knew she would have to have children while young if she wanted them at all, because of the toll of her cancer therapy. ‘I was told by the time I was 23 my ovaries would give up,’ she said. Both chemotherapy and radiotherapy – common forms of cancer treatment – can leave people infertile because they damage healthy cells as well as tumours. The couple started trying for a baby when Ms Chaplin was just 16 years old but were not successful, and switched to IVF seven years later using donated eggs. Evie was born in May 2016 and, after the group of mothers on Facebook raised the funds to pay for Ms Chaplin’s second round, the couple used embryos from the same cycle, meaning the two girls are biological sisters. The ‘May babies’ group revealed they had secretly raised the £2,000 in a Facebook Live video in July last year. Ms Chaplin rushed to thank her online friends after Isla was delivered by c-section. ‘It’s amazing, it really is,’ she told the BBC. ‘It’s better than we ever imagined and we didn’t think we would ever get to this point.